Can my employer deduct PTO when I only miss part of a work day? Many employers offer “paid time off” (“PTO”) in some form or another to employees. Some call it “vacation time,” “sick time,” “personal time,” some combination of those, or something else entirely, but the idea is the same- employees get paid for time when they are not working, usually up to a certain maximum amount. A lot of employees and / or employers only use this “PTO” in full-day increments, such as sick days or vacation days, but we often get asked- can employers deduct from PTO by the hour instead of the day? As an important note, Michigan has a new law, going into effect very soon, that entitles certain employees of certain employers to a minimum amount of paid sick time. This article is not about that law. Instead, this is about what employers can or cannot do regarding their own paid-time-off policies. So, first and foremost, an employer does not have to offer or allow any “paid time off” at all, other than the employers who are covered by the new Michigan law (and even then, there are limitations). Since paid time off policies are usually voluntary, meaning the employer has chosen to offer PTO to employees as a benefit instead of being required to do so by law, there is very little in the way of legal requirements that employers must meet when applying or enforcing their policies. Employers are required to pay employees for their time actually worked, but they are generally not required to pay for time not worked (other than instances where Michigan’s new sick time laws apply), so almost any application or interpretation of a PTO policy is likely to be legal. For example, say an employee who is paid on an hourly basis has to leave three hours early from work one day. The employer could decide not to pay the employee for those three hours of worked that were missed. The employer could also decide to pay the employee for those hours and deduct them from the employee’s PTO / vacation / sick day bank, reducing the amount of time the employee has left to be paid for time not worked. The employer can pay the employee for the time and deduct it from a PTO bank even if the employee does not want the time deducted from the PTO bank. The employer may choose to let the employee make the time up later in the week so that the number of hours worked and the pay received are the same as if the employee had worked a full day, but is not required to do so- the employer can instead decide to have the employee be three hours of pay short for the week or to count the time as PTO. Let’s say the employee who left three hours early was a salaried employee. Generally speaking, deductions from a salaried employee’s pay should only be made on a full-day basis. However, the same is not true for a salaried employee’s PTO. 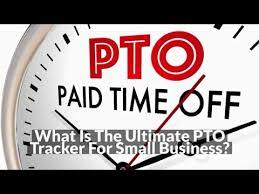 An employer may legally deduct time from a salaried employee’s PTO bank in increments of less than a day. So, a salaried employee may lose three hours of PTO from their available PTO time for leaving three hours early, which would then limit the amount of time the employee can be paid for days not worked in the future. If you have any questions or issues regarding hours worked and pay received, or any other employment law issue, please call Gold Star Law for help.